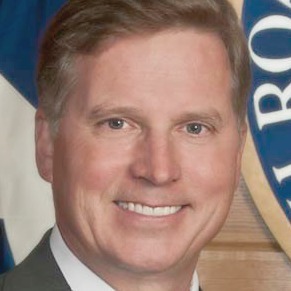 According to his Railroad Commission biographical information, Barry Smitherman was appointed to the state Public Utility Commission in 2004 and became chairman in 2007, then was appointed to the Railroad Commission in 2011 and became its chairman in 2012. Barry Smitherman lost his bid for attorney general of Texas in spring 2014. Barry Smitherman "doesn’t have enough legal experience to apply for most of the jobs at the attorney general’s office." "The Earth is not warming." According to an article in the Economist magazine, Americans are "guaranteed" to live above the poverty line if they graduate from high school, keep their first job for over a year and get and stay married. Says he "sued Obama’s EPA seven times." Texas voters choose major-party nominees on Tuesday, though May run-offs are possible if the lead candidate in each primary fails to draw more than half the vote. Warm up for voting by reviewing claims we checked during the election run-up--including a smoky statement about the planet’s warmth. We’re hacks twice over, according to reader blasts. It’s time to open our mailbag.